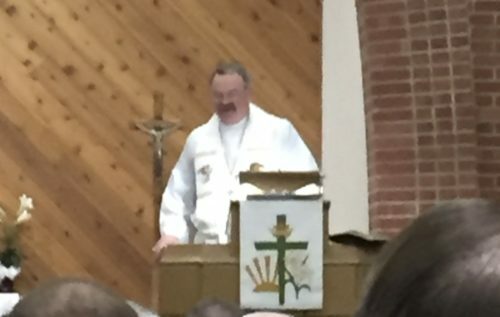 Minnesota North and Project 24 – part 3 | "Northern Crossings"
President of the Lutheran Church Missouri Synod, Matthew Harrison was the preacher at the opening of the Minnesota North Convention. He travels to all of the Districts Conventions and I imagine that is a tough job. I did not get a chance to hear him but I plan to go back and podcast or download or whatever geeky thing you have to do to listen. He is a marvelous preacher. He is a wonderful historian. He brings things to life in a winsome way that can sometimes be startling. I traveled with him to Kenya and remember staying is a ramshackle guest house that had water pouring out of the ceiling. There was not water in the restroom but there was water coming from the ceiling. Anyway, about three in the morning I heard a muffled conversation just under the water drip noise and got up to see Rev. Harrison in the dark, in the courtyard under a bougainvillea bush giving an impromptu sermon over the satellite phone (this was along time ago, today he could use his cell phone). The night birds were calling and the tree frogs were chirping and he was preaching under the African sky to folks back in the States listening to KFUO radio as they prepared for lunch. What an opportunity. He used the time he had on that phone to relay information about Lutherans around the world and their struggles as they seek to be Lutheran and preach the Gospel, He took the opportunity and as always the message was Jesus and mercy and the unfathomable grace of God. Rev Harrison writes about that trip in a book called “Christ Have Mercy; How To Put Your Faith in Action”, It is published by Concordia Publishing House, 3558 S Jefferson Ave, Saint Louis, MO 63118. Tough Jobs – The Missionary Enterprise and Easter.